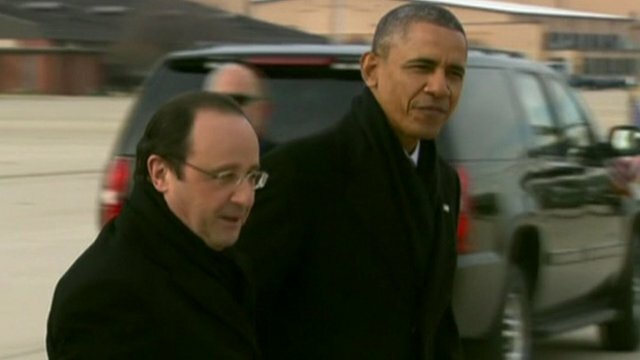 Obama: France one of closest allies Jump to media player Francois Hollande is in the US for a three-day visit - the first trip across the Atlantic for a French president in 18 years. Hollande arrives in US for state visit Jump to media player President Francois Hollande is beginning the first full state visit to the United States by a French president in nearly 20 years. Francois Hollande is in the US for a three-day visit. Mr Hollande's formal welcome to the White House included a military parade. He will be the first French president to be celebrated with a formal state dinner at the White House in 18 years. Relations have improved between the two countries following their fall-out over the invasion of Iraq more than a decade ago. 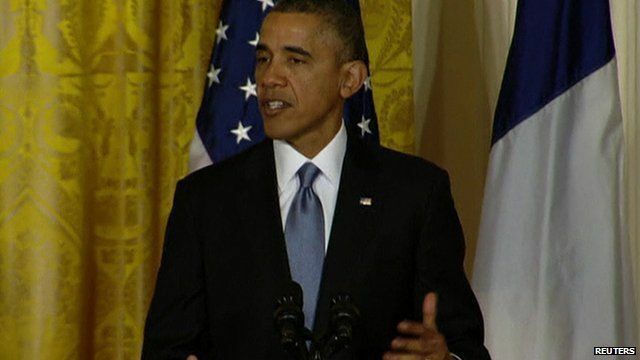 Mr Obama said France was one of America's "oldest and closest allies".